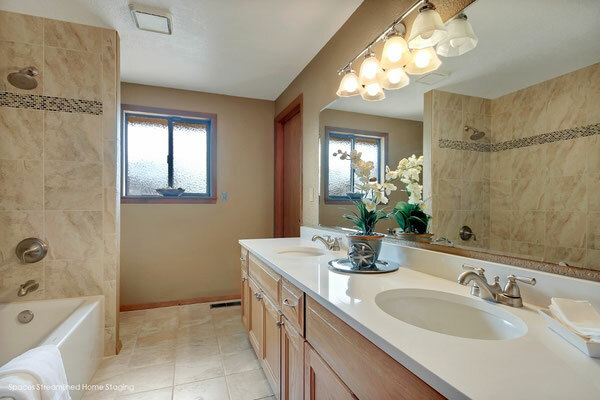 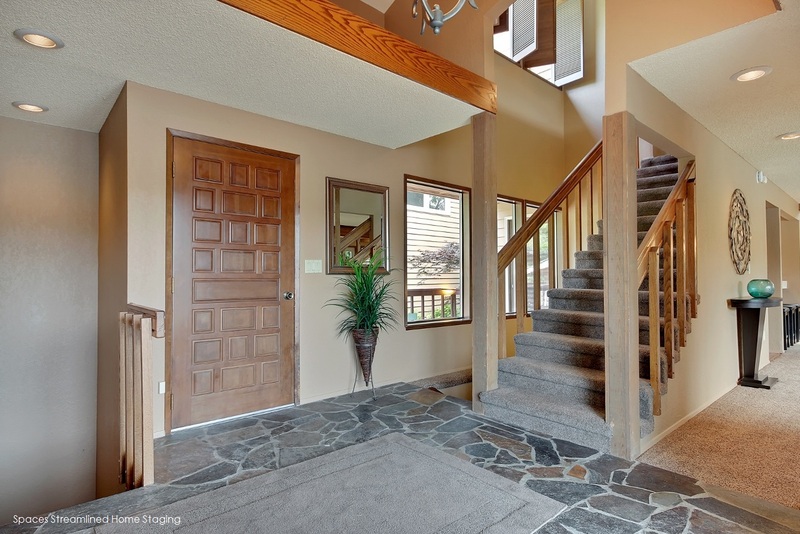 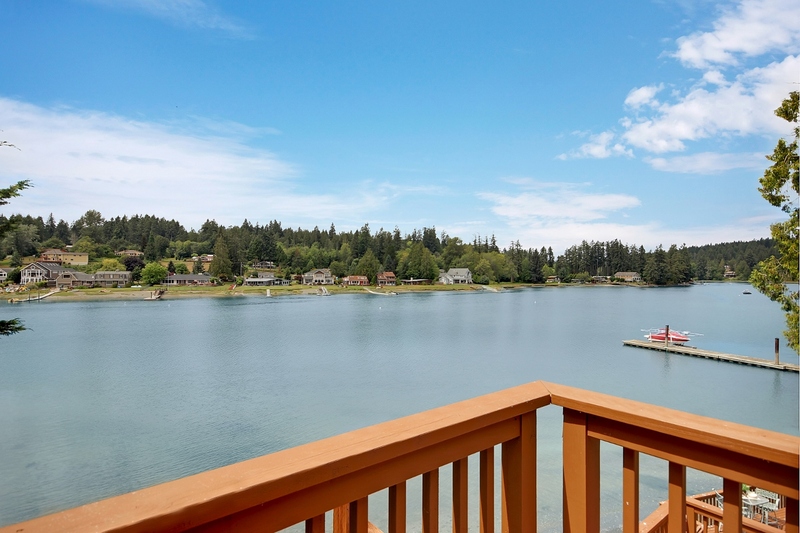 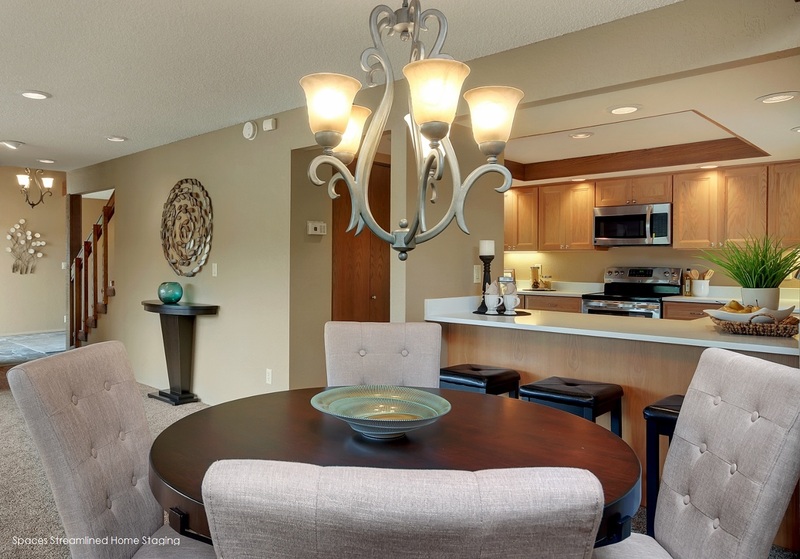 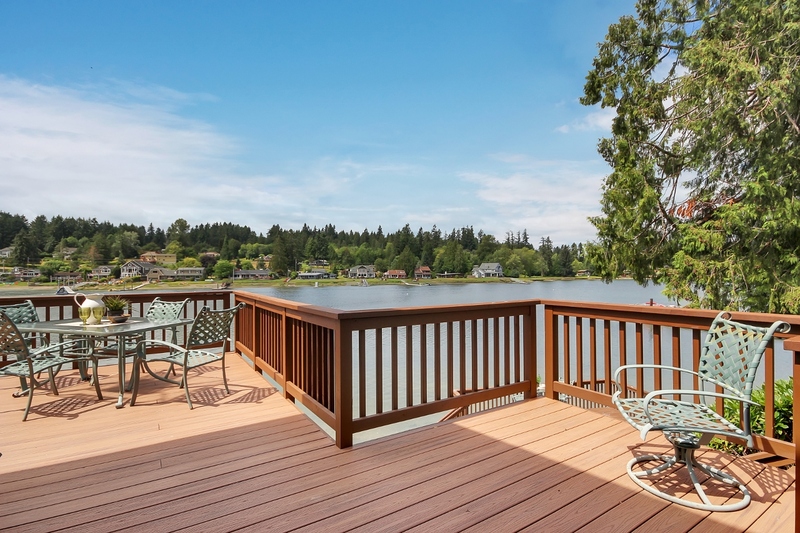 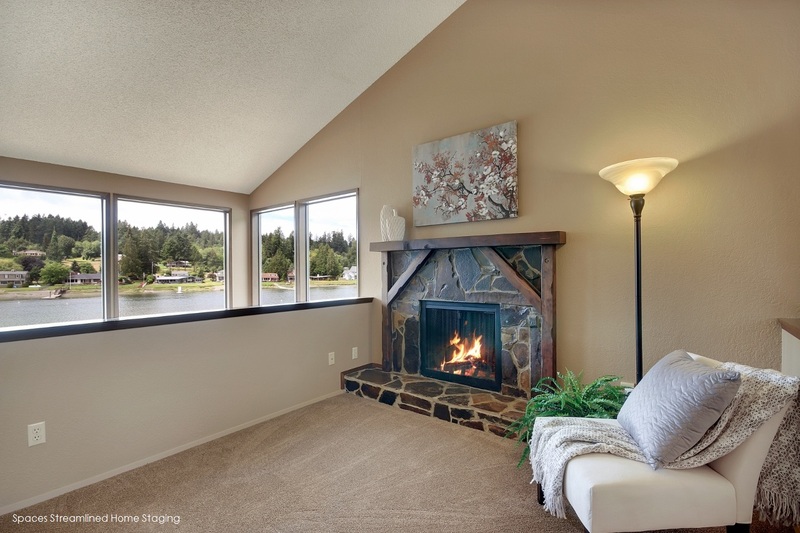 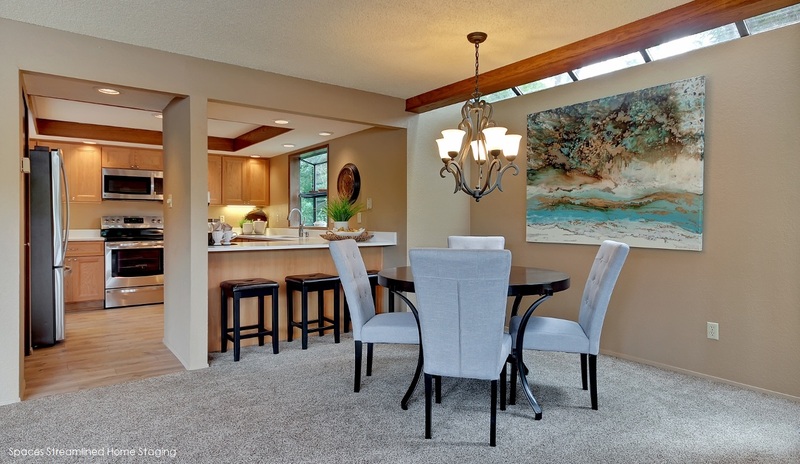 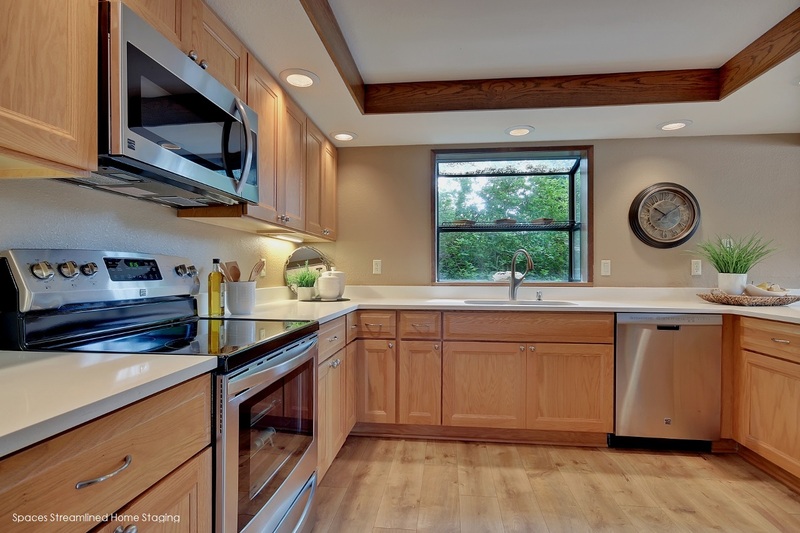 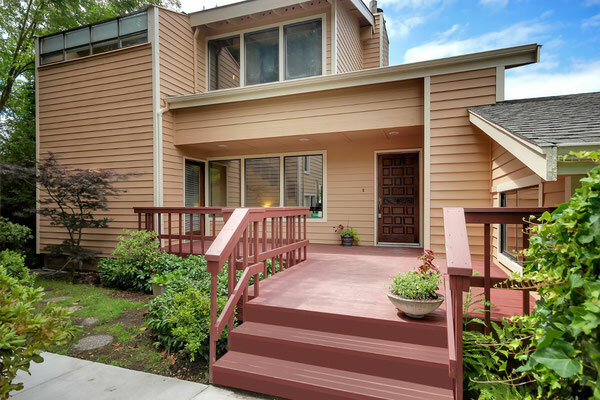 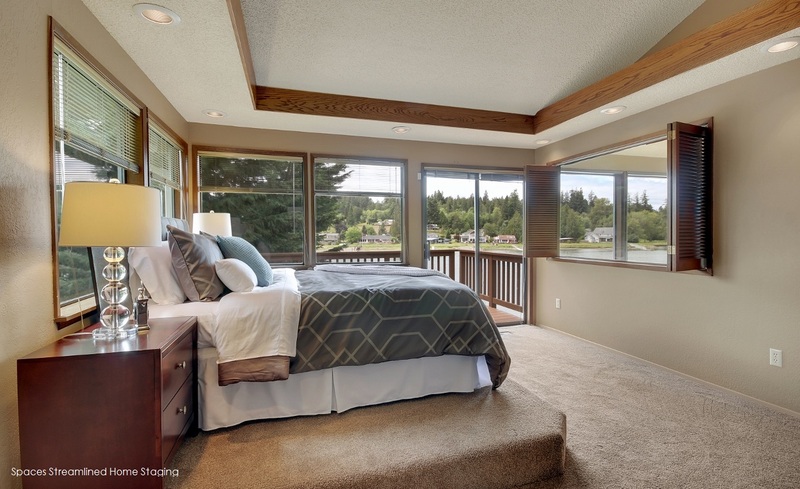 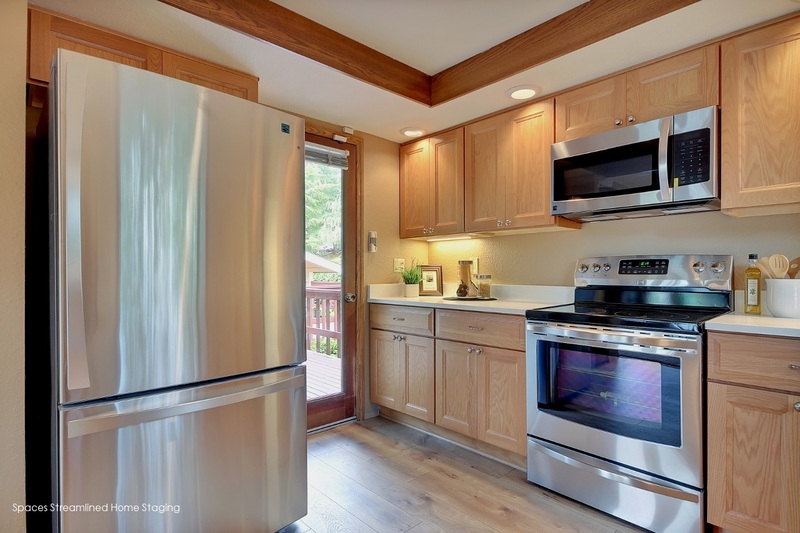 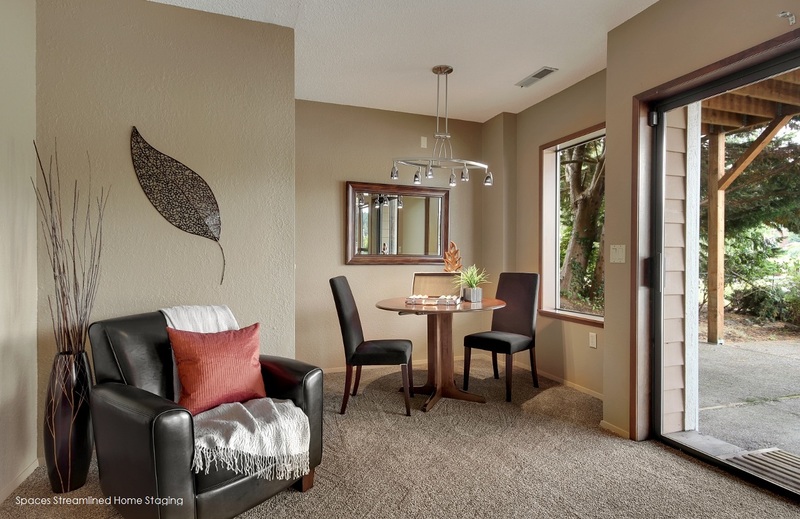 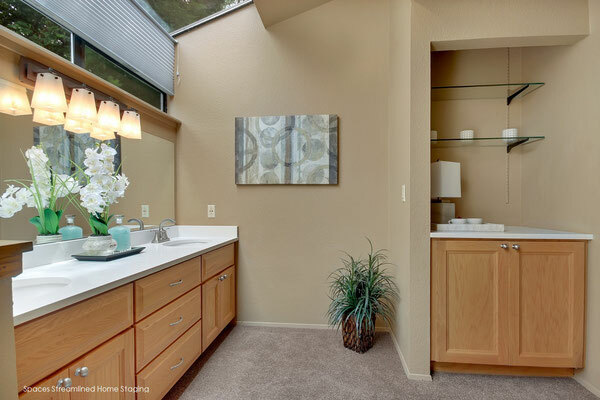 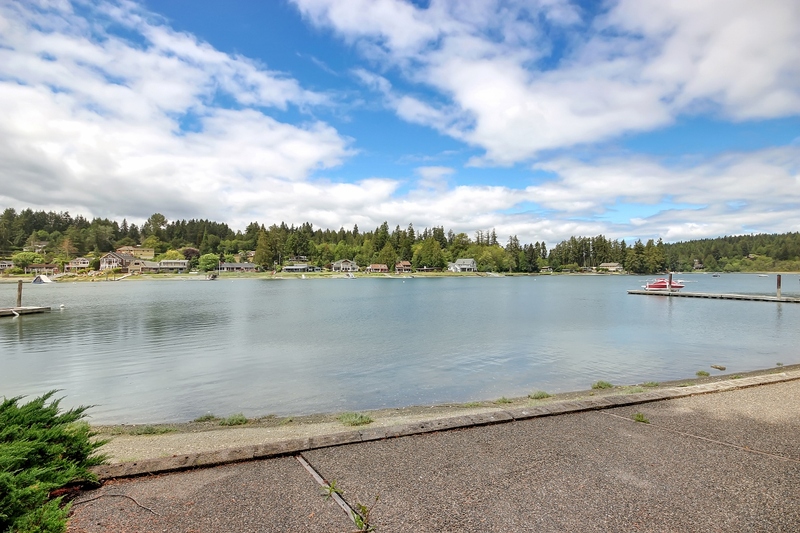 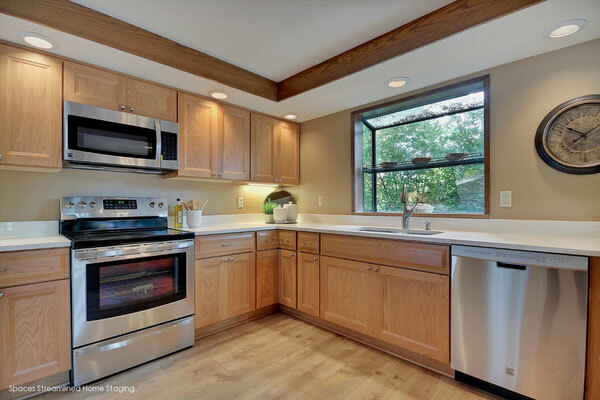 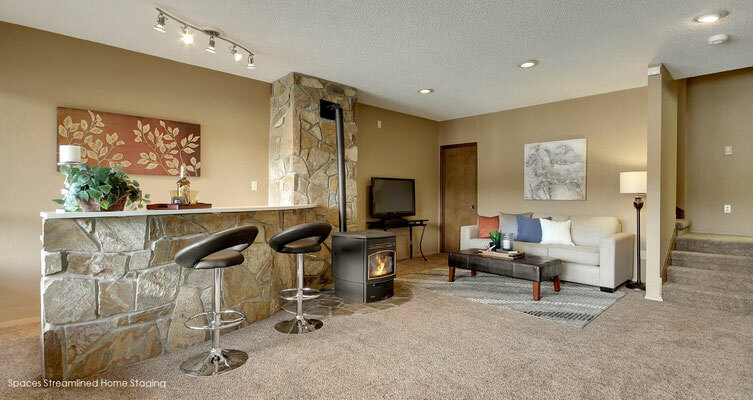 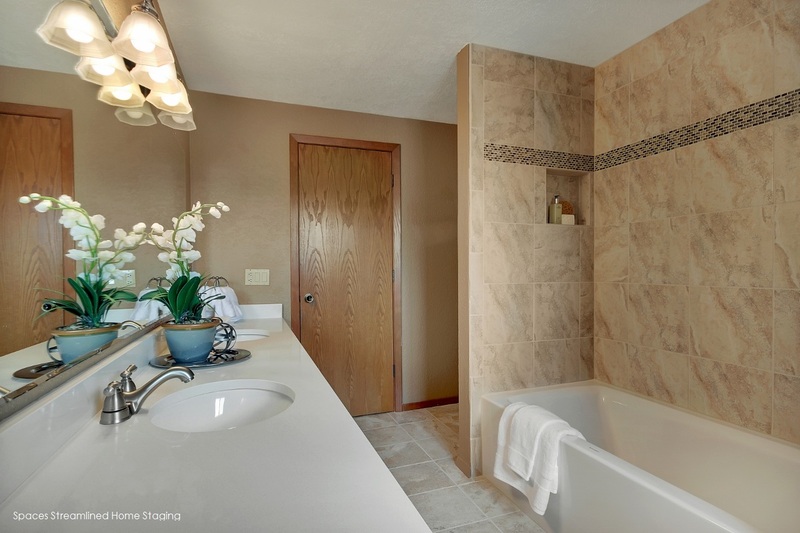 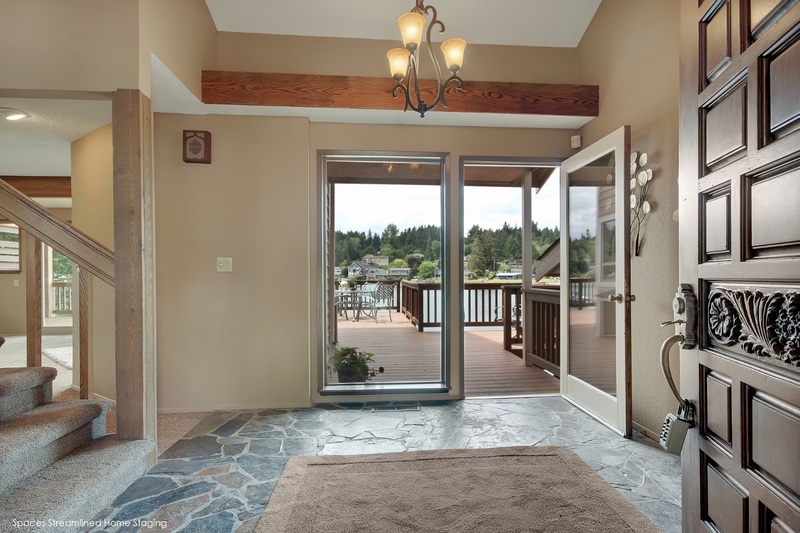 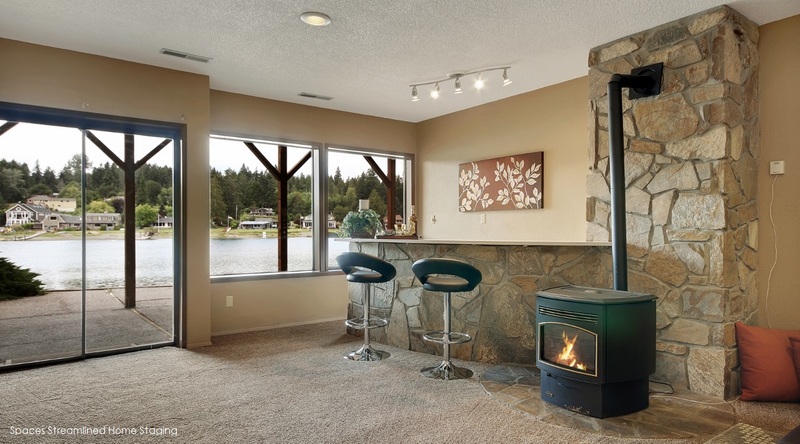 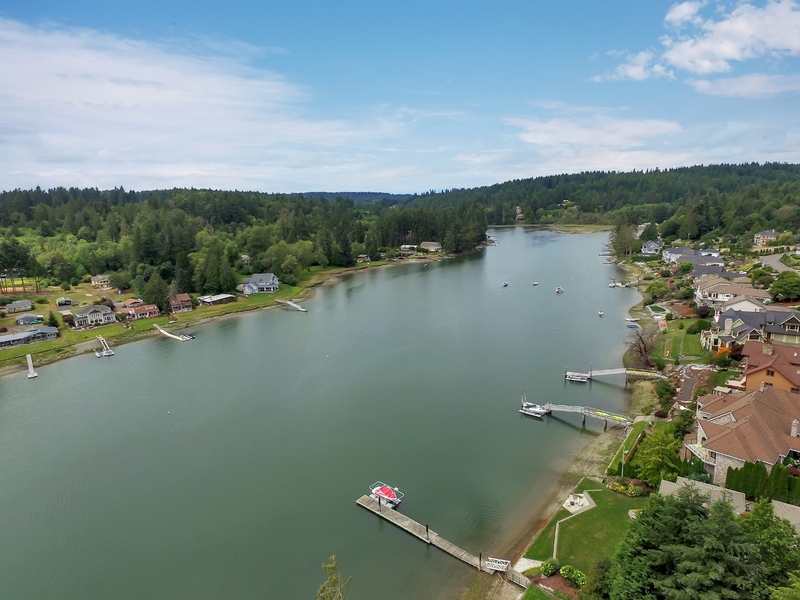 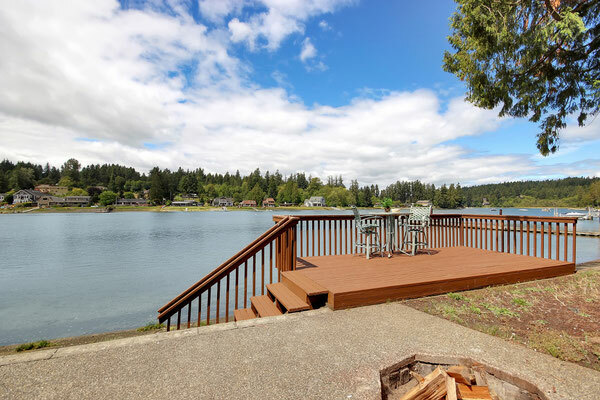 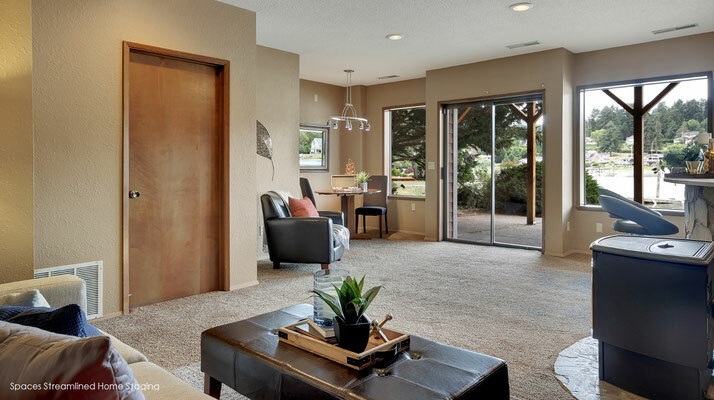 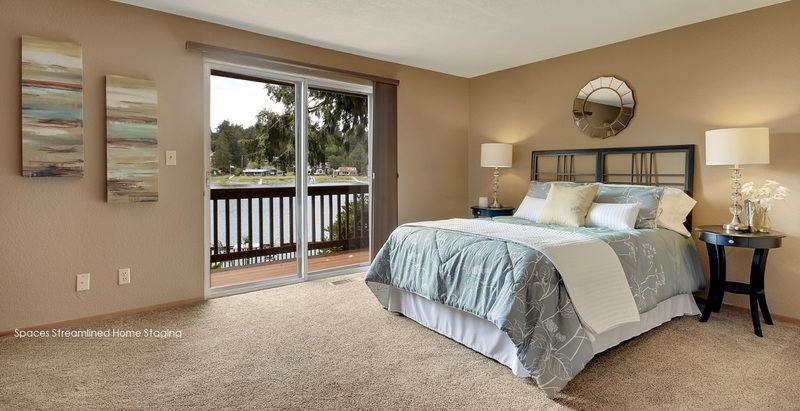 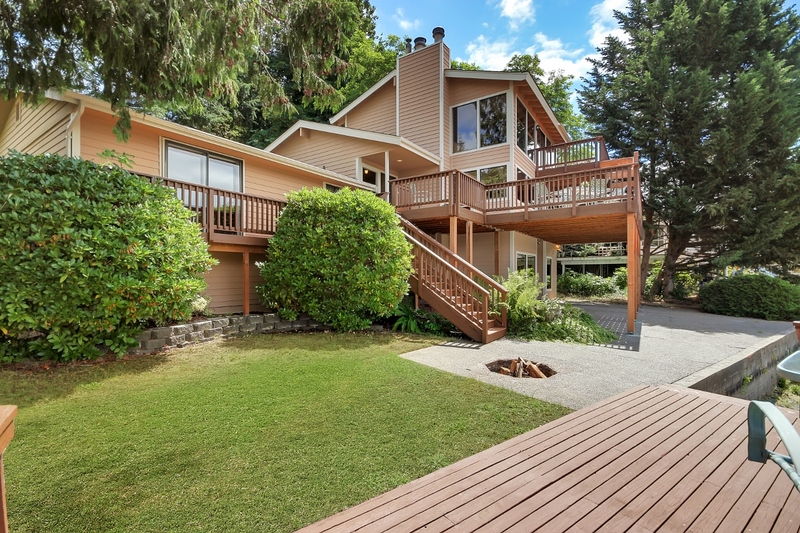 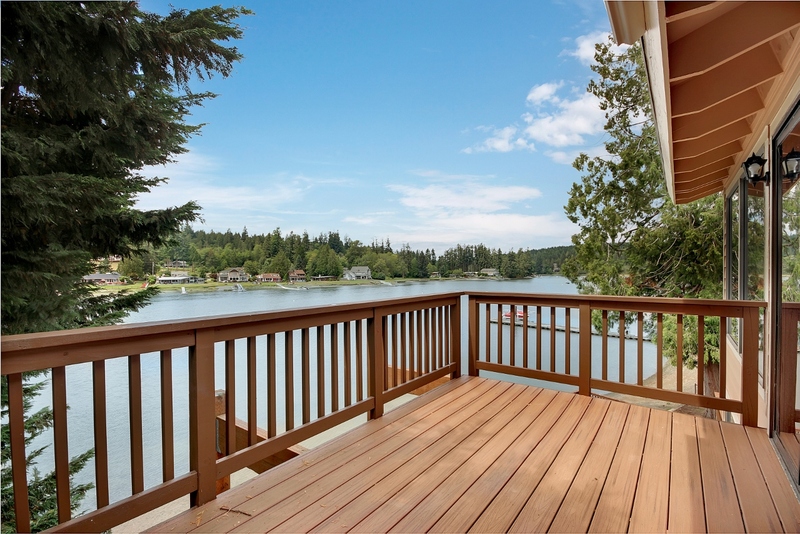 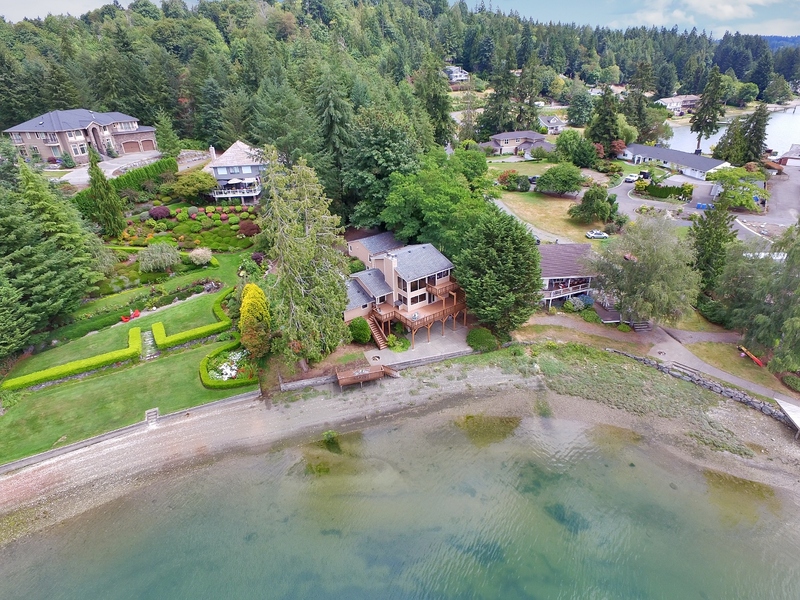 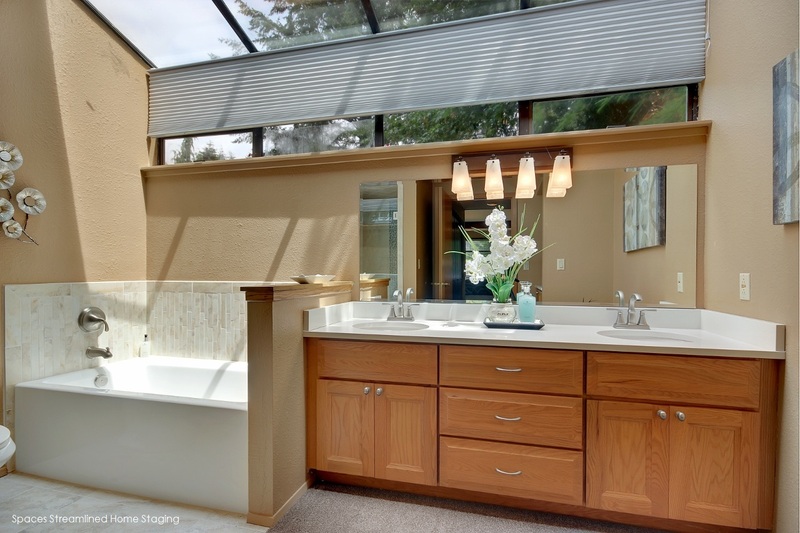 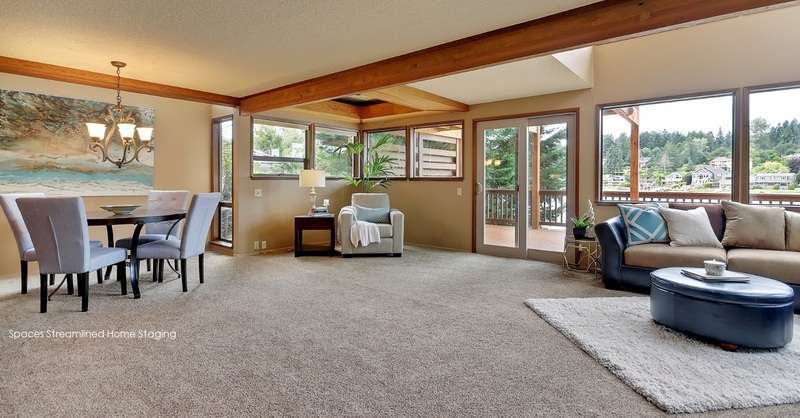 Staging a Home on the Bay in Gig Harbor - Spaces Streamlined Home Staging, Styling and Organizing Gig Harbor, Tacoma and surrounding areas. With its' many windows and multilevel decks, this waterfront home soaks in scenes and scents of water and sky. Inspired by the colors surrounding the home, we staged with blues, grays, sandy beige and greens to complement the views.